With reimbursement shifts that come as frequently as an I.V. change, it seems the healthcare industry is always struggling to adapt to industry disruptions. But nowhere is this more evident than in the technology changes that have shifted providers into the digital arena. IT outsourcing and cloud computing are increasing, healthcare costs continue to rise, and robotics is expanding. This post explores what’s going on in the technology world and how its impacting healthcare. What are our 2018 predictions and how are they going to continue to disrupt the medical field? Get a free assessment — is your facility ready for the technology shifts in 2018? 1. More healthcare providers will develop hybrid models that include cloud applications in 2018. These predictions were reported in Forbes, who culled data from an IDG study. The data suggests that the cloud has normalized under a secure, HIPAA-compliant delivery model that many CIOs have grown more comfortable with over time. By next year 70% of all organizations will have at least one application in the cloud. 2. Wearables and IoT devices will increasingly provide clinical data to healthcare providers. Healthcare IT News suggests that around 50% of all healthcare companies will have dedicated resources devoted to culling, processing, and analyzing this clinical data across the organization. Tracking and maintaining the volumes of data from these sensors will almost necessitate a move toward cloud storage. The application for population health initiatives is high, along with providing crucial evidence for reimbursement under MACRA or other value-based care models. These sensor and cloud-driven devices are expected to improve patient safety, operational efficiency, and staff satisfaction. 3. Robotics will expand in hospitals. The “Worldwide Health Industry 2018 Predictions” report from IDC Health Insights includes the startling suggestion that by 2020 one in four large hospitals will be using robotics to handle routine and time-consuming tasks. This is viewed as a positive overall; a corresponding reduction in preventable errors is just one benefit. Blockchain, machine learning, and artificial intelligence applications will be deployed more frequently. By 2021 20% of healthcare providers and 40% in the life sciences field will deploy some sort of AI application. 4. IT Outsourcing will expand. From IT disaster management, to software-as-a-service, collections, accounting, and more will all be outsourced with a greater regularity by 2021. Healthcare IT News predicts that data management will require most hospitals to use some form of IT outsourcing as a way to manage the floodgates of data that the Internet of Things will continue to capture. 5. The cost of healthcare will continue to grow. Just as IT outsourcing in the cloud will offer lower-cost models for healthcare providers, the actual cost of care delivery will increase. PwC’s Health Research Institute is predicting a 6.5% uptick in medical cost trends next year. That’s after holding steady for the past three years or so. The problem is that rising inflation affects everything – including healthcare. An economic upswing in the U.S. will drive higher labor costs in an industry driven solely by human resources. 6. 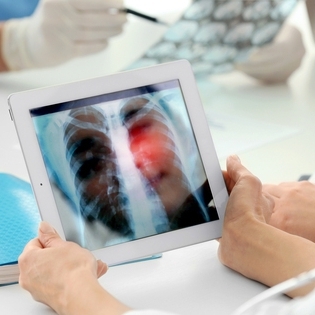 Forrester says healthcare will need to accelerate its digital transformation next year. There remains a few technology holdout silos in the healthcare field. Forrester predicts that uncertainties of declining reimbursement and increasing regulation in 2018 will force these organizations to finally adopt cloud services. Leveraging IT outsourcing services in the form of an “enterprise health cloud” (EHC) will also allow these providers to finally capitulate to consumer demands for ease of access and pricing transparency. 7. The cybersecurity landscape will continue to threaten healthcare providers. Kaspersky Lab tracked some of the unprecedented cyber terrorism incidences in 2017. They say there is more on the agenda for healthcare providers in 2018. Particularly concerning is ransomware because hackers know that healthcare providers will pay to get back crucial patient and operational data. As sensor-driven IoT data becomes the norm in most hospital settings, the potential for vulnerable points across the network increases. When monitoring devices are in a home setting, personal Wi-Fi networks could hold the key for access to an entire hospital tech infrastructure. Hospitals must continue to harden their networks and adapt to threats as they arise. It is for this precise reason that many enterprise organizations are turning to IT outsourcing for security expertise. Over the next few years, emerging technologies and the popularization of existing tech, such as IoT sensors, will continue to affect the IT infrastructure of every medical provider in the U.S. For hospitals seeking a strategic and operational partnership with an IT outsourcing resource, contact TOSS C3. We can provide a free assessment to determine your specific needs and best solutions.